White Pearl 2019 Lexus NX 300h AWD eCVT 2.5L I4 DOHC 16V 2.5L I4 DOHC 16V. 33/30 City/Highway MPG Quoted price subject to change without notice to correct errors or omissions. Tax, Tag, registration fees not included. Advertised price includes Delivery and Handling fee. Visit Lexus of Colorado Springs for details. Accessories, options, and color may vary. Although we make every effort to post accurate information, Equipment listed is not guaranteed. All prices, specifications and availability subject to change without notice. Used vehicles may be subject to unrepaired manufacturer recalls. Please contact the Manufacturer or a Dealer for that line make, for recall assistance questions, or check the national Highway traffic safety administration website for current recall information before purchasing. FUEL EFFICIENT 24 MPG Hwy/19 MPG City! Back-Up Camera, iPod/MP3 Input, Keyless Start, TRANSMISSION: 8-SPEED AUTOMATIC (8HP7... BIG HORN LEVEL 1 EQUIPMENT GROUP, QUICK ORDER PACKAGE 25Z BIG HORN/LONE... ENGINE: 5.7L V8 HEMI MDS VVT, Trailer Hitch, 4x4. Bright White Clear Coat exterior, Big Horn/Lone Star trim.KEY FEATURES INCLUDE4x4, Back-Up Camera, iPod/MP3 Input, Keyless Start MP3 Player, Privacy Glass, Keyless Entry, Child Safety Locks, Electronic Stability Control.OPTION PACKAGESWHEELS: 20 X 9 ALUMINUM CHROME CLAD, ENGINE: 5.7L V8 HEMI MDS VVT Hemi Badge, Dual Rear Exhaust w/Bright Tips, GVWR: 7,100 lbs, 180 Amp Alternator, Heavy Duty Engine Cooling, Active Noise Control System, BIG HORN LEVEL 1 EQUIPMENT GROUP Rear Window Defroster, Cluster 3.5 TFT Color Display, Power 8-Way Driver Seat, Rear Power Sliding Window, Sun Visors w/Illuminated Vanity Mirrors, Glove Box Lamp, Integrated Center Stack Radio, Class IV Receiver Hitch, Single Disc Remote CD Player, Power 4-Way Driver Lumbar Adjust, Power Adjustable Pedals, Foam Bottle Insert (Door Trim Panel), Google Android Auto, For More Info, Call 800-643-2112, Exterior Mirrors Courtesy Lamps, 1-Year SiriusXM Radio Service, Auto Dim Exterior Driver Mirror, Radio: Uconnect 4 w/8.4 Display, SiriusXM Satellite Radio, Exterior Mirrors w/Supplemental Signals, Big Horn IP Badge, Rear Dome w/On/Off Switch Lamp, Universal Garage Door Opener, Power Heated Fold Away Mirrors, Rear View Auto Dim Mirror, 8.4 Touchscreen Display, QUICK ORDER PACKAGE 25Z BIG HORN/LONE STAR Engine: 5.7L V8 HEMI MDS VVT, Transmission: 8-Speed Automatic (8HP75), Steering Wheel Mounted Audio Controls, TRANSMISSION: 8-SPEED AUTOMATIC (8HP75).EXPERTS REPORTGreat Gas Mileage: 24 MPG Hwy.Fuel economy calculations based on original manufacturer data for trim engine configuration. Please confirm the accuracy of the included equipment by calling us prior to purchase. 3rd Row Seat, Navigation, Heated Leather Seats, Sunroof, iPod/MP3 Input, Alloy Wheels, ALL WEATHER FLOOR LINERS & DOOR SILL.. PREDAWN GRAY MICA exterior and ASH interior, XLE trim. FUEL EFFICIENT 27 MPG Hwy/19 MPG City! SEE MORE!KEY FEATURES INCLUDELeather Seats, Third Row Seat, Sunroof, Power Liftgate, Rear Air, Heated Driver Seat, Back-Up Camera, iPod/MP3 Input, Bluetooth, CD Player, Aluminum Wheels, Keyless Start, Dual Zone A/C, Power Fourth Passenger Door, Lane Keeping Assist Rear Spoiler, MP3 Player, Remote Trunk Release, Privacy Glass.OPTION PACKAGESXLE NAVIGATION PACKAGE 4-Corner/Back Clearance & Back Sonar, HomeLink, electrochromic rearview mirror, Radio: Entune 3.0 Audio Plus, touch-screen display, navigation, Apple CarPlay, Amazon Alexa compatibility and 6 speakers, ALL WEATHER FLOOR LINERS & DOOR SILL PROTECTORS door sill protector. Toyota XLE with PREDAWN GRAY MICA exterior and ASH interior features a V6 Cylinder Engine with 296 HP at 6600 RPM*.EXPERTS ARE SAYINGGreat Gas Mileage: 27 MPG Hwy.OUR OFFERINGSBaxter Toyota La Vista, a full-service Toyota dealership serving Omaha, offers new, used and certified pre-owned cars. We're part of Baxter Auto, the largest dealer group in Nebraska. Located off I-80 and Harrison Street, our showroom is designed with you in mind. You can shop the complete lineup of new Toyota models in our showroom or walk our lot to browse our selection of used vehicles.Horsepower calculations based on trim engine configuration. Fuel economy calculations based on original manufacturer data for trim engine configuration. Please confirm the accuracy of the included equipment by calling us prior to purchase. Nav System, Third Row Seat, Moonroof, Heated Leather Seats, iPod/MP3 Input, Aluminum Wheels, ALL WEATHER FLOOR LINERS & DOOR SILL.. PARISIAN NIGHT PEARL exterior and ASH interior, XLE trim. FUEL EFFICIENT 27 MPG Hwy/19 MPG City! AND MORE!KEY FEATURES INCLUDELeather Seats, Third Row Seat, Sunroof, Power Liftgate, Rear Air, Heated Driver Seat, Back-Up Camera, iPod/MP3 Input, Bluetooth, CD Player, Aluminum Wheels, Keyless Start, Dual Zone A/C, Power Fourth Passenger Door, Lane Keeping Assist. Rear Spoiler, MP3 Player, Remote Trunk Release, Privacy Glass.OPTION PACKAGESXLE NAVIGATION PACKAGE 4-Corner/Back Clearance & Back Sonar, HomeLink, electrochromic rearview mirror, Radio: Entune 3.0 Audio Plus, touch-screen display, navigation, Apple CarPlay, Amazon Alexa compatibility and 6 speakers, ALL WEATHER FLOOR LINERS & DOOR SILL PROTECTORS door sill protector. Toyota XLE with PARISIAN NIGHT PEARL exterior and ASH interior features a V6 Cylinder Engine with 296 HP at 6600 RPM*.EXPERTS RAVEGreat Gas Mileage: 27 MPG Hwy.VISIT US TODAYBaxter Toyota La Vista, a full-service Toyota dealership serving Omaha, offers new, used and certified pre-owned cars. We're part of Baxter Auto, the largest dealer group in Nebraska. Located off I-80 and Harrison Street, our showroom is designed with you in mind. You can shop the complete lineup of new Toyota models in our showroom or walk our lot to browse our selection of used vehicles.Horsepower calculations based on trim engine configuration. Fuel economy calculations based on original manufacturer data for trim engine configuration. Please confirm the accuracy of the included equipment by calling us prior to purchase. IPod/MP3 Input, Bluetooth, Keyless Start, Back-Up Camera, ANTI-SPIN DIFFERENTIAL REAR AXLE, TRANSMISSION: 8-SPEED AUTOMATIC (8HP7... Bright White Clear Coat exterior, Tradesman trim. FUEL EFFICIENT 21 MPG Hwy/15 MPG City! READ MORE!KEY FEATURES INCLUDE4x4, Back-Up Camera, iPod/MP3 Input, Bluetooth, Keyless Start MP3 Player, Keyless Entry, Privacy Glass, Child Safety Locks, Electronic Stability Control.OPTION PACKAGESTRADESMAN LEVEL 1 EQUIPMENT GROUP Rear Power Sliding Window, Carpet Floor Covering, For More Info, Call 800-643-2112, Front & Rear Floor Mats, 1-Year SiriusXM Radio Service, SiriusXM Satellite Radio, ENGINE: 5.7L V8 HEMI MDS VVT HEMI badge, GVWR: 7,100 lbs, Heavy Duty Engine Cooling, 26 Gallon Fuel Tank, Active Noise Control System, ANTI-SPIN DIFFERENTIAL REAR AXLE, CLASS IV RECEIVER HITCH, TRANSMISSION: 8-SPEED AUTOMATIC (8HP75).VEHICLE REVIEWSGreat Gas Mileage: 21 MPG Hwy.WHO WE AREBaxter Chrysler Dodge Jeep Ram West Dodge, a full-service car dealership in Omaha, is your source for new cars, trucks and SUVs both online and in our showroom. We also sell used vehicles and certified pre-owned vehicles. At our 17950 Burt Street location, we also provide Mopar parts and auto repair service. We're part of Baxter Auto, the largest dealer group in Nebraska.Fuel economy calculations based on original manufacturer data for trim engine configuration. Please confirm the accuracy of the included equipment by calling us prior to purchase. 3rd Row Seat, CD Player, Bluetooth, Lane Keeping Assist, Dual Zone A/C, iPod/MP3 Input, Alloy Wheels, All Wheel Drive, LE PLUS PACKAGE. BLIZZARD PEARL exterior and BLACK interior, LE Plus trim. EPA 27 MPG Hwy/20 MPG City! READ MORE!KEY FEATURES INCLUDEThird Row Seat, All Wheel Drive, Power Liftgate, Rear Air, Back-Up Camera, Satellite Radio, iPod/MP3 Input, Bluetooth, CD Player, Aluminum Wheels, Dual Zone A/C, Lane Keeping Assist. Rear Spoiler, MP3 Player, Remote Trunk Release, Keyless Entry, Privacy Glass.OPTION PACKAGESFOUR SEASON FLOOR LINER/MAT PACKAGE Carpet Cargo Mat, All Weather Floor Liners, Carpet Floor Mats, LE PLUS PACKAGE Front Fog & Driving Lamp. Toyota LE Plus with BLIZZARD PEARL exterior and BLACK interior features a V6 Cylinder Engine with 295 HP at 6600 RPM*.EXPERTS RAVEThanks to its just-right size, the Highlander is also easy to maneuver around town and does so at near-luxury levels of quiet and comfort. The suspension smooths out all the bumps and ruts in the road commendably well. -Edmunds.com. Great Gas Mileage: 27 MPG Hwy.BUY FROM AN AWARD WINNING DEALERBaxter Toyota La Vista, a full-service Toyota dealership serving Omaha, offers new, used and certified pre-owned cars. We're part of Baxter Auto, the largest dealer group in Nebraska. Located off I-80 and Harrison Street, our showroom is designed with you in mind. You can shop the complete lineup of new Toyota models in our showroom or walk our lot to browse our selection of used vehicles.Horsepower calculations based on trim engine configuration. Fuel economy calculations based on original manufacturer data for trim engine configuration. Please confirm the accuracy of the included equipment by calling us prior to purchase. 3rd Row Seat, CD Player, Bluetooth, Lane Keeping Assist, Dual Zone A/C, iPod/MP3 Input, Alloy Wheels, All Wheel Drive, Rear Air. FUEL EFFICIENT 27 MPG Hwy/20 MPG City! BLIZZARD PEARL exterior and BLACK interior, LE Plus trim CLICK NOW!KEY FEATURES INCLUDEThird Row Seat, All Wheel Drive, Power Liftgate, Rear Air, Back-Up Camera, Satellite Radio, iPod/MP3 Input, Bluetooth, CD Player, Aluminum Wheels, Dual Zone A/C, Lane Keeping Assist Rear Spoiler, MP3 Player, Remote Trunk Release, Keyless Entry, Privacy Glass.OPTION PACKAGESFOUR SEASON FLOOR LINER/MAT PACKAGE Carpet Cargo Mat, All Weather Floor Liners, Carpet Floor Mats, LE PLUS PACKAGE Front Fog & Driving Lamp. Toyota LE Plus with BLIZZARD PEARL exterior and BLACK interior features a V6 Cylinder Engine with 295 HP at 6600 RPM*.EXPERTS ARE SAYINGEdmunds.com's review says Thanks to its just-right size, the Highlander is also easy to maneuver around town and does so at near-luxury levels of quiet and comfort. The suspension smooths out all the bumps and ruts in the road commendably well.. Great Gas Mileage: 27 MPG Hwy.BUY FROM AN AWARD WINNING DEALERBaxter Toyota La Vista, a full-service Toyota dealership serving Omaha, offers new, used and certified pre-owned cars. We're part of Baxter Auto, the largest dealer group in Nebraska. Located off I-80 and Harrison Street, our showroom is designed with you in mind. You can shop the complete lineup of new Toyota models in our showroom or walk our lot to browse our selection of used vehicles.Horsepower calculations based on trim engine configuration. Fuel economy calculations based on original manufacturer data for trim engine configuration. Please confirm the accuracy of the included equipment by calling us prior to purchase. Nav System, Heated Seats, Moonroof, iPod/MP3 Input, Aluminum Wheels, POWER TILT/SLIDE MOONROOF W/SUNSHADE, Hitch, Satellite Radio. MIDNIGHT BLACK METALLIC exterior and BLACK GRAPHITE interior, TRD Off Road Premium trim. READ MORE!KEY FEATURES INCLUDENavigation, Heated Driver Seat, Back-Up Camera, Satellite Radio, iPod/MP3 Input. Rear Spoiler, MP3 Player, 4x4, Onboard Communications System, Aluminum Wheels.OPTION PACKAGESPOWER TILT/SLIDE MOONROOF W/SUNSHADE Moonroof w/Tilt Up & Slide. Toyota TRD Off Road Premium with MIDNIGHT BLACK METALLIC exterior and BLACK GRAPHITE interior features a V6 Cylinder Engine with 270 HP at 5600 RPM*.WHO WE ARELegends Toyota, an award-winning, full-service Toyota dealership, offers new, used and certified pre-owned cars. We're part of Baxter Auto, a Midwest dealer group serving Kansas City, KS, Omaha, NE and Lincoln, NE. At Legends Toyota, we're driven to be the best Toyota dealer in Kansas City. We're conveniently located at 10100 Parallel Parkway, Kansas City, KS 66109, just north of I-70. Shop our inventory online and request an e-price.Horsepower calculations based on trim engine configuration. Please confirm the accuracy of the included equipment by calling us prior to purchase. NAV, Heated Seats, Sunroof, iPod/MP3 Input, Alloy Wheels, POWER TILT/SLIDE MOONROOF W/SUNSHADE, Tow Hitch, Satellite Radio, Back-Up Camera. CLASSIC SILVER METALLIC exterior and BLACK GRAPHITE interior, TRD Off Road Premium trim. SEE MORE!KEY FEATURES INCLUDENavigation, Heated Driver Seat, Back-Up Camera, Satellite Radio, iPod/MP3 Input. Rear Spoiler, MP3 Player, 4x4, Onboard Communications System, Aluminum Wheels.OPTION PACKAGESPOWER TILT/SLIDE MOONROOF W/SUNSHADE Moonroof w/Tilt Up & Slide. Toyota TRD Off Road Premium with CLASSIC SILVER METALLIC exterior and BLACK GRAPHITE interior features a V6 Cylinder Engine with 270 HP at 5600 RPM*.OUR OFFERINGSLegends Toyota, an award-winning, full-service Toyota dealership, offers new, used and certified pre-owned cars. We're part of Baxter Auto, a Midwest dealer group serving Kansas City, KS, Omaha, NE and Lincoln, NE. At Legends Toyota, we're driven to be the best Toyota dealer in Kansas City. We're conveniently located at 10100 Parallel Parkway, Kansas City, KS 66109, just north of I-70. Shop our inventory online and request an e-price.Horsepower calculations based on trim engine configuration. Please confirm the accuracy of the included equipment by calling us prior to purchase. Magnetic Metallic exterior and Black interior, XL trim. 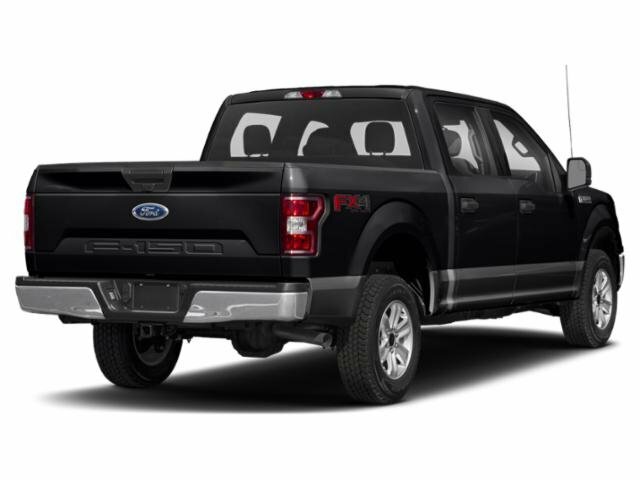 MAGNETIC METALLIC, ENGINE: 2.7L V6 ECOBOOST, REAR WINDOW FIXED PRIVACY GLASS, Hitch, Back-Up Camera, 4x4, Turbo Charged Engine, XL SPORT APPEARANCE PACKAGE, FOG LAMPS. SEE MORE!KEY FEATURES INCLUDEBack-Up Camera 4x4, Child Safety Locks, Electronic Stability Control, Brake Assist, 4-Wheel ABS.OPTION PACKAGESEQUIPMENT GROUP 101A MID SYNC, enhanced voice recognition communications and entertainment system, 911 assist, 4.2 LCD display in center stack, Applink and 1 smart charging USB port, 4.2 Productivity Screen in Instrument Cluster, compass, XL Power Equipment Group, Power Glass Sideview Mirrors w/Black Skull Caps, manual-folding, Power Door Locks, flip key and integrated key transmitter keyless-entry (includes Autolock), Illuminated Entry, Power Front & Rear Windows, Perimeter Alarm, Power Tailgate Lock, MyKey, Cruise Control, STX APPEARANCE PACKAGE Fog Lamps, Driver/Passenger Seat Back Pocket, SYNC 3, enhanced voice recognition communications and entertainment system, 8 LCD touchscreen in center stack w/swipe capability, AppLink, 911 Assist, Apple CarPlay and Android Auto and 2 smart charging USB ports, Box Side Decals, Rear Window Defroster, Wheels: 20 Machined-Aluminum, flash gray painted pockets, Manual Driver/Passenger Lumbar, Privacy Glass, Body-Color Surround w/Black Mesh Insert Grille, black mesh insert, Body-Color Front & Rear Bumpers, body-color front fascia, Tires: P275/55R20 BSW AT, 275/65R18 OWL all-season/all-terrain spare tire, ENGINE: 2.7L V6 ECOBOOST auto start-stop technology, 3.55 Axle Ratio, GVWR: 6,600 lbs Payload Package, XL SPORT APPEARANCE PACKAGE Fog Lamps, Box Side Decals, Wheels: 17 Silver Painted Aluminum, Body-Color Front & Rear Bumpers, body-color front fascia, EXTENDED RANGE 36 GALLON FUEL TANKHorsepower calculations based on trim engine configuration. Please confirm the accuracy of the included equipment by calling us prior to purchase. Heated Seats, 4x4, Turbo, Tow Hitch, Back-Up Camera, WiFi Hotspot, Smart Device Integration, Onboard Communications System, AGATE BLACK METALLIC. XLT trim, Agate Black Metallic exterior and Dark Earth Gray interior. READ MORE!KEY FEATURES INCLUDEBack-Up Camera, Onboard Communications System, Smart Device Integration, WiFi Hotspot. 4x4, Keyless Entry, Steering Wheel Controls, Child Safety Locks, Electronic Stability Control.OPTION PACKAGESEQUIPMENT GROUP 302A LUXURY 4.2 Productivity Screen in Instrument Cluster, Rear Window Defroster, SiriusXM Radio, 7 speakers and 6-month prepaid subscription, Service is not available in Alaska and Hawaii, Subscriptions to all SiriusXM services are sold by SiriusXM after trial period, If you decide to continue service after your trial, the subscription plan you choose will automatically renew thereafter and you will be charged according to your chosen payment method at then-current rates, Fees and taxes apply, To cancel you must call SiriusXM at 1-866-635-2349, See SiriusXM Customer Agreement for complete terms at www.siriusxm.com, All fees and programming subject to change, Sirius, XM and all related marks and logos are trademarks of Sirius XM Radio Inc, XLT Chrome Appearance Package, 2, ENGINE: 2.7L V6 ECOBOOST auto start-stop technology, 3.55 Axle Ratio, GVWR: 6,600 lbs Payload Package, XLT POWER EQUIPMENT GROUP LED Box Lighting, Power-Sliding Rear Window, privacy glass, overhead console, dome lamp replacement and front and back map lamps, Rear Window Defroster, 110V/400W Outlet, POWER-SLIDING REAR WINDOW privacy glass, overhead console, dome lamp replacement and front and back map lamps, Rear Window Defroster, XLT SPORT APPEARANCE PACKAGE body-color wheellip moldings and unique interior finish, Tires: P275/65R18 OWL A/S, Box Side DecalsHorsepower calculations based on trim engine configuration. Please confirm the accuracy of the included equipment by calling us prior to purchase. XL trim, Ingot Silver Metallic exterior and Medium Earth Gray interior. 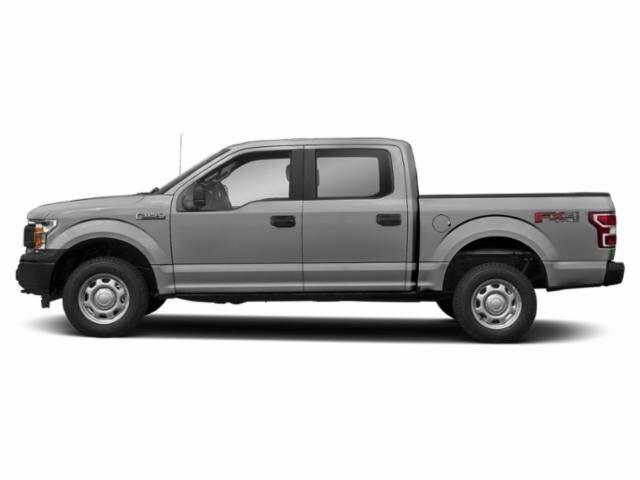 INGOT SILVER METALLIC, ENGINE: 5.0L V8, Hitch, Back-Up Camera, 4x4, REAR WINDOW FIXED PRIVACY GLASS, BLACK PLATFORM RUNNING BOARDS, STX APPEARANCE PACKAGE AND MORE!KEY FEATURES INCLUDEBack-Up Camera. 4x4, Child Safety Locks, Electronic Stability Control, Brake Assist, 4-Wheel ABS.OPTION PACKAGESEQUIPMENT GROUP 101A MID SYNC, enhanced voice recognition communications and entertainment system, 911 assist, 4.2 LCD display in center stack, Applink and 1 smart charging USB port, 4.2 Productivity Screen in Instrument Cluster, compass, XL Power Equipment Group, Power Glass Sideview Mirrors w/Black Skull Caps, manual-folding, Power Door Locks, flip key and integrated key transmitter keyless-entry (includes Autolock), Illuminated Entry, Power Front & Rear Windows, Perimeter Alarm, Power Tailgate Lock, MyKey, Cruise Control, STX APPEARANCE PACKAGE Fog Lamps, Driver/Passenger Seat Back Pocket, SYNC 3, enhanced voice recognition communications and entertainment system, 8 LCD touchscreen in center stack w/swipe capability, AppLink, 911 Assist, Apple CarPlay and Android Auto and 2 smart charging USB ports, Box Side Decals, Rear Window Defroster, Wheels: 20 Machined-Aluminum, flash gray painted pockets, Manual Driver/Passenger Lumbar, Privacy Glass, Body-Color Surround w/Black Mesh Insert Grille, black mesh insert, Body-Color Front & Rear Bumpers, body-color front fascia, Tires: P275/55R20 BSW AT, 275/65R18 OWL all-season/all-terrain spare tire, ENGINE: 5.0L V8 auto start-stop technology and flex-fuel capability, 3.31 Axle Ratio, GVWR: 7,000 lbs Payload Package, XL SPORT APPEARANCE PACKAGE Fog Lamps, Box Side Decals, Wheels: 17 Silver Painted Aluminum, Body-Color Front & Rear Bumpers, body-color front fascia, BLACK PLATFORM RUNNING BOARDSHorsepower calculations based on trim engine configuration. Please confirm the accuracy of the included equipment by calling us prior to purchase. Diamond Black Crystal P/C exterior, Big Horn/Lone Star trim. EPA 21 MPG Hwy/15 MPG City! 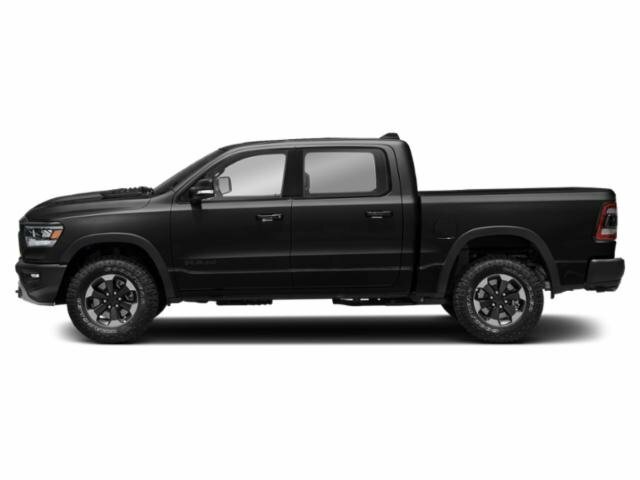 Back-Up Camera, iPod/MP3 Input, Keyless Start, TRANSMISSION: 8-SPEED AUTOMATIC (8HP7... BIG HORN LEVEL 1 EQUIPMENT GROUP, QUICK ORDER PACKAGE 25Z BIG HORN/LONE... ENGINE: 5.7L V8 HEMI MDS VVT, Trailer Hitch, 4x4.KEY FEATURES INCLUDE4x4, Back-Up Camera, iPod/MP3 Input, Keyless Start MP3 Player, Privacy Glass, Keyless Entry, Child Safety Locks, Electronic Stability Control.OPTION PACKAGESWHEELS: 20 X 9 ALUMINUM CHROME CLAD, ENGINE: 5.7L V8 HEMI MDS VVT Hemi Badge, Dual Rear Exhaust w/Bright Tips, GVWR: 7,100 lbs, 180 Amp Alternator, Heavy Duty Engine Cooling, Active Noise Control System, BIG HORN LEVEL 1 EQUIPMENT GROUP Rear Window Defroster, Cluster 3.5 TFT Color Display, Power 8-Way Driver Seat, Rear Power Sliding Window, Sun Visors w/Illuminated Vanity Mirrors, Glove Box Lamp, Integrated Center Stack Radio, Class IV Receiver Hitch, Single Disc Remote CD Player, Power 4-Way Driver Lumbar Adjust, Power Adjustable Pedals, Foam Bottle Insert (Door Trim Panel), Google Android Auto, For More Info, Call 800-643-2112, Exterior Mirrors Courtesy Lamps, 1-Year SiriusXM Radio Service, Auto Dim Exterior Driver Mirror, Radio: Uconnect 4 w/8.4 Display, SiriusXM Satellite Radio, Exterior Mirrors w/Supplemental Signals, Big Horn IP Badge, Rear Dome w/On/Off Switch Lamp, Universal Garage Door Opener, Power Heated Fold Away Mirrors, Rear View Auto Dim Mirror, 8.4 Touchscreen Display, QUICK ORDER PACKAGE 25Z BIG HORN/LONE STAR Engine: 5.7L V8 HEMI MDS VVT, Transmission: 8-Speed Automatic (8HP75), Steering Wheel Mounted Audio Controls, TRANSMISSION: 8-SPEED AUTOMATIC (8HP75).VEHICLE REVIEWSGreat Gas Mileage: 21 MPG Hwy.Fuel economy calculations based on original manufacturer data for trim engine configuration. Please confirm the accuracy of the included equipment by calling us prior to purchase. Third Row Seat, Satellite Radio, Flex Fuel, Aluminum Wheels, 4x4, Rear Air, Back-Up Camera. XLT trim. 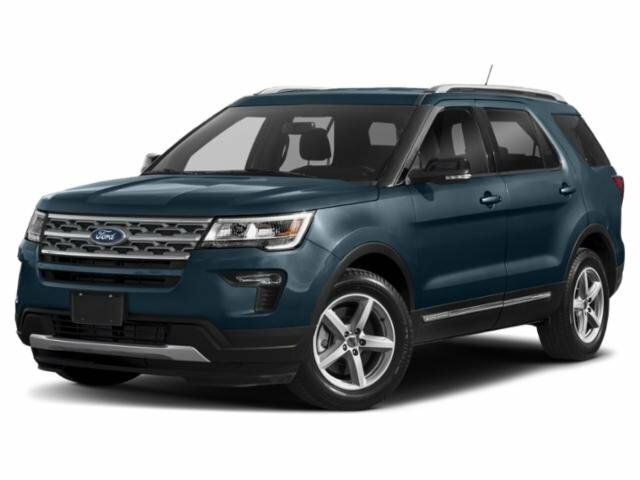 Warranty 5 yrs/60k Miles - Drivetrain Warranty; READ MORE!KEY FEATURES INCLUDEThird Row Seat, Rear Air, Back-Up Camera, Flex Fuel, Satellite Radio. Rear Spoiler, MP3 Player, 4x4, Aluminum Wheels, Keyless Entry.EXPERTS CONCLUDEEdmunds.com's review says Well-tuned electric steering system and natural assist level; it turns in with immediacy. 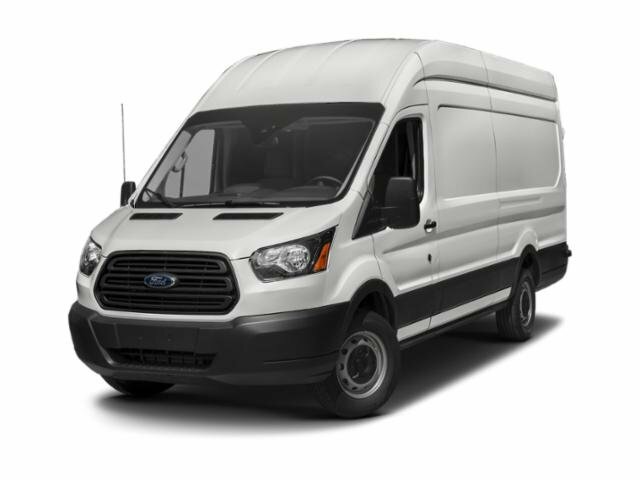 Good heft at speed but light enough for parking-lot duty..OUR OFFERINGSBaxter Ford West Dodge, a full-service Ford dealership in Omaha, is your source for new Ford cars, trucks, vans and SUVs both online and in our showroom. We also sell used vehicles and certified pre-owned Fords. At our 18505 California Street (185th & Dodge) location, we also provide parts and auto repair service. We're part of Baxter Auto, the largest dealer group in Nebraska.Please confirm the accuracy of the included equipment by calling us prior to purchase. Delmonico Red Pearl Coat exterior, Tradesman trim. EPA 21 MPG Hwy/15 MPG City! 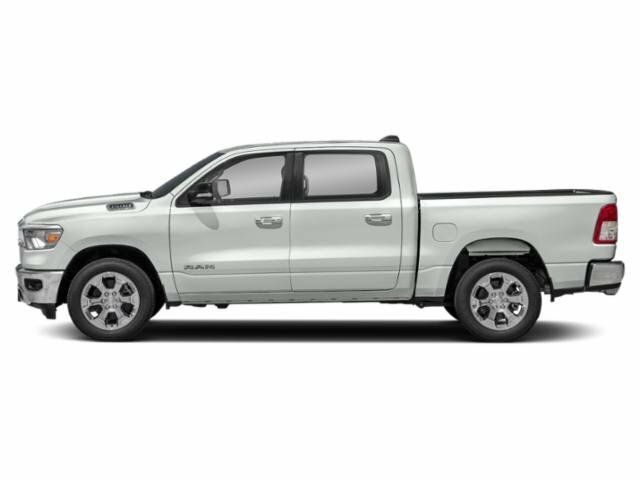 iPod/MP3 Input, Bluetooth, Keyless Start, Back-Up Camera, ANTI-SPIN DIFFERENTIAL REAR AXLE, TRADESMAN LEVEL 1 EQUIPMENT GROUP, TRANSMISSION: 8-SPEED AUTOMATIC (8HP7... ENGINE: 5.7L V8 HEMI MDS VVT, 4x4, Tow Hitch, CLASS IV RECEIVER HITCH.KEY FEATURES INCLUDE4x4, Back-Up Camera, iPod/MP3 Input, Bluetooth, Keyless Start MP3 Player, Keyless Entry, Privacy Glass, Child Safety Locks, Electronic Stability Control.OPTION PACKAGESTRADESMAN LEVEL 1 EQUIPMENT GROUP Rear Power Sliding Window, Carpet Floor Covering, For More Info, Call 800-643-2112, Front & Rear Floor Mats, 1-Year SiriusXM Radio Service, SiriusXM Satellite Radio, ENGINE: 5.7L V8 HEMI MDS VVT HEMI badge, GVWR: 7,100 lbs, Heavy Duty Engine Cooling, 26 Gallon Fuel Tank, Active Noise Control System, ANTI-SPIN DIFFERENTIAL REAR AXLE, CLASS IV RECEIVER HITCH, TRANSMISSION: 8-SPEED AUTOMATIC (8HP75).EXPERTS ARE SAYINGIt feels strong off the line, and it serves up excellent roll-on acceleration when it's time to merge or make a pass. -Edmunds.com. Great Gas Mileage: 21 MPG Hwy.VISIT US TODAYBaxter Chrysler Dodge Jeep Ram Bellevue, a full-service car dealership in Bellevue, is your source for new cars, trucks and SUVs both online and in our showroom. We also sell used vehicles and certified pre-owned vehicles. At our 7713 South 19th Circle location, we also provide Mopar parts and auto repair service. We're part of Baxter Auto Group, the largest dealer group in Nebraska.Fuel economy calculations based on original manufacturer data for trim engine configuration. Please confirm the accuracy of the included equipment by calling us prior to purchase. NAV, Brake Actuated Limited Slip Differential, iPod/MP3 Input, Back-Up Camera, POWER FOLDING/HEATED MIRRORS, TRANSMISSION: 6-SPEED AUTOMATIC 62TE, SPEED CONTROL. 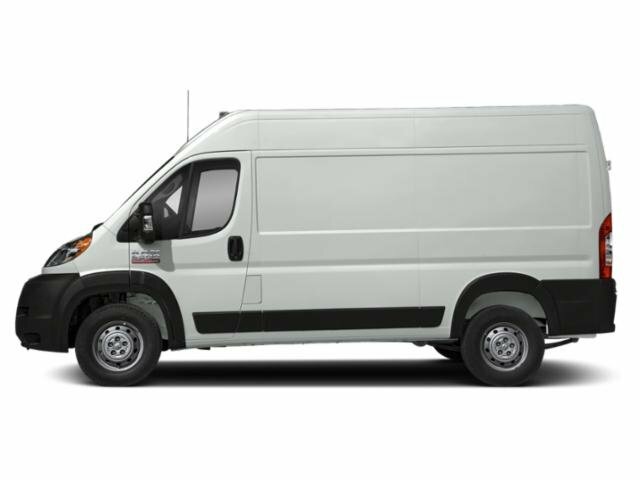 Bright White Clear Coat exterior, ProMaster Cargo Van trim CLICK NOW!KEY FEATURES INCLUDEBack-Up Camera, iPod/MP3 Input, Brake Actuated Limited Slip Differential. MP3 Player, Third Passenger Door, Keyless Entry, Steering Wheel Controls, Electronic Stability Control.OPTION PACKAGESRADIO: UCONNECT 3 NAV W/5 DISPLAY GPS Antenna Input, GPS Navigation, SPEED CONTROL, PARKSENSE REAR PARK ASSIST SYSTEM, POWER FOLDING/HEATED MIRRORS, TRANSMISSION: 6-SPEED AUTOMATIC 62TE (STD), ENGINE: 3.6L V6 24V VVT (STD).VISIT US TODAYBaxter Chrysler Dodge Jeep Ram West Dodge, a full-service car dealership in Omaha, is your source for new cars, trucks and SUVs both online and in our showroom. We also sell used vehicles and certified pre-owned vehicles. At our 17950 Burt Street location, we also provide Mopar parts and auto repair service. We're part of Baxter Auto, the largest dealer group in Nebraska.Please confirm the accuracy of the included equipment by calling us prior to purchase. NAV, Heated Seats, iPod/MP3 Input, Dual Zone A/C, ENGINE: 3.6L V6 24V VVT UPG I W/ESS, QUICK ORDER PACKAGE 2BC UPLAND, Back-Up Camera. FUEL EFFICIENT 25 MPG Hwy/18 MPG City! Diamond Black Crystal P/C exterior, Upland trim AND MORE!KEY FEATURES INCLUDE4x4, Back-Up Camera, iPod/MP3 Input, Aluminum Wheels, Dual Zone A/C Rear Spoiler, MP3 Player, Privacy Glass, Keyless Entry, Child Safety Locks.OPTION PACKAGESQUICK ORDER PACKAGE 2BC UPLAND Engine: 3.6L V6 24V VVT UPG I w/ESS, Transmission: 8-Speed Automatic (850RE), Liquid Titanium Accents, Gloss Black Roof Rails, Gloss Black Rear Fascia Applique, Blue-Accent Badges, Gloss Black Grille w/Black Honeycomb, Tow Hooks, Delete Laredo Badge, Rear Fascia Black Mic Step Pad, Security & Convenience Group, Heated Front Seats, Universal Garage Door Opener, 115V Auxiliary Power Outlet, Remote Start System, Power Liftgate, Heated Steering Wheel, Security Alarm, Jeep Black Gloss Badging, Dark Headlamp Bezel Finish, Gloss Black Exterior Accents, Rear View Auto Dim Mirror, Dark Lens Taillamps, Power 4-Way Driver Lumbar Adjust, Upland Package, Dark Day Light Opening Moldings, Power 8-Way Driver/Manual Passenger Seat, RADIO: UCONNECT 4C NAV W/8.4 DISPLAY SiriusXM Travel Link, 5-Year SiriusXM Travel Link Service, 5-Year SiriusXM Traffic Service, 1-Year SiriusXM Guardian Trial, HD Radio, SiriusXM Traffic Plus, For Details Visit DriveUconnect.com, GPS Navigation, 8.4 Touchscreen Display, TRANSMISSION: 8-SPEED AUTOMATIC (850RE) (STD), ENGINE: 3.6L V6 24V VVT UPG I W/ESS (STD).EXPERTS RAVEKBB.com's review says If you want a rugged yet refined 5-passenger midsize SUV that packs plenty of power and room, there's probably a Jeep Grand Cherokee for you. 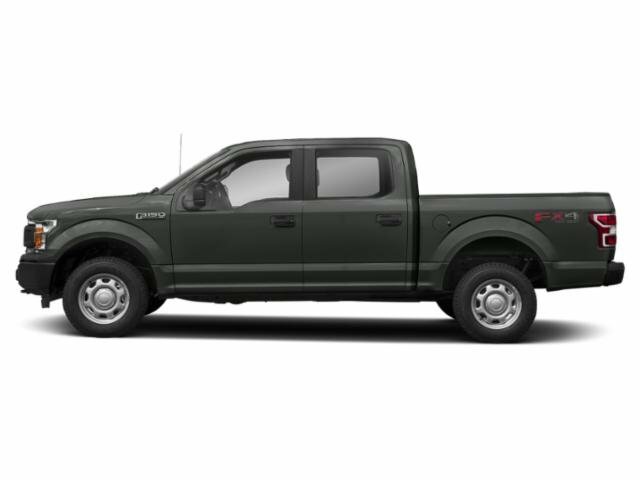 Its off-road credentials are legit. . Great Gas Mileage: 25 MPG Hwy.Fuel economy calculations based on original manufacturer data for trim engine configuration. Please confirm the accuracy of the included equipment by calling us prior to purchase. Auxiliary Audio Input, Back-Up Camera. Transit Van trim. Warranty 5 yrs/60k Miles - Drivetrain Warranty; CLICK ME!KEY FEATURES INCLUDEBack-Up Camera, Auxiliary Audio Input Third Passenger Door, Keyless Entry, Stability Control, Bucket Seats, Brake Assist.BUY FROM AN AWARD WINNING DEALERBaxter Ford South, a full-service Ford dealership in Omaha, is your source for new Ford cars, trucks, vans and SUVs both online and in our showroom. We also sell used vehicles and certified pre-owned Fords. At our 9203 South 145th Street (near Sapp Bros.) location, we also provide parts and auto repair service. We're part of Baxter Auto, the largest dealer group in Nebraska.Please confirm the accuracy of the included equipment by calling us prior to purchase. 3rd Row Seat, Sunroof, NAV, Heated Leather Seats, Rear Air, Power Liftgate, PROTECTION PACKAGE, FOUR SEASON FLOOR LINER/MAT PACKAGE. FUEL EFFICIENT 24 MPG Hwy/18 MPG City! PARISIAN NIGHT PEARL exterior and ASH interior, XLE trim AND MORE!KEY FEATURES INCLUDELeather Seats, Third Row Seat, Quad Bucket Seats, Power Liftgate, Rear Air, Heated Driver Seat, Back-Up Camera, iPod/MP3 Input, Bluetooth, CD Player, Keyless Start, Dual Zone A/C, Power Fourth Passenger Door, Lane Keeping Assist, WiFi Hotspot. Rear Spoiler, MP3 Player, Sunroof, All Wheel Drive.OPTION PACKAGESXLE NAVIGATION PACKAGE 4-Corner/Back Clearance & Back Sonar, HomeLink, electrochromic rearview mirror, Radio: Entune 3.0 Audio Plus, touch-screen display, navigation, Apple CarPlay, Amazon Alexa compatibility and 6 speakers, PROTECTION PACKAGE lower door moldings, mudguards, door edge guards and alloy wheel locks, FOUR SEASON FLOOR LINER/MAT PACKAGE carpet floor mats, all-weather floor liners and door sill protectors. Toyota XLE with PARISIAN NIGHT PEARL exterior and ASH interior features a V6 Cylinder Engine with 296 HP at 6600 RPM*.EXPERTS ARE SAYINGGreat Gas Mileage: 24 MPG Hwy.MORE ABOUT USBaxter Toyota Lincoln, a full-service Toyota dealership, offers new, used and certified pre-owned cars. We're part of Baxter Auto, the largest dealer group in Nebraska. You can shop the complete lineup of new Toyota models in our showroom or walk our lot to browse our selection of used vehicles.Horsepower calculations based on trim engine configuration. Fuel economy calculations based on original manufacturer data for trim engine configuration. Please confirm the accuracy of the included equipment by calling us prior to purchase.